Help me raise money and awareness for the charities I visit and support along my trajectory. 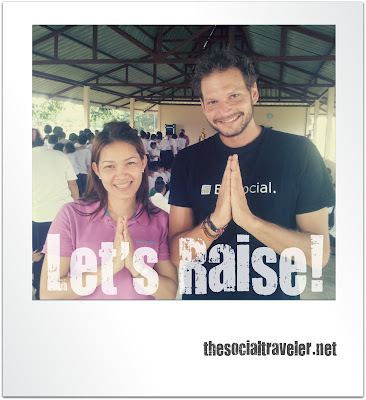 Begin 2012 I decided to add another social layer to my travels: Social Good. I asked Friends and Followers to point me in the direction of small charity projects during my tandem challenge. I then visited one in every country I crossed and asked what they needed. After that I passed the message to the community. Choose one of the charities that you want to help and organize a fundraiser with your friends. Everything helps. After that you can donate the raised money DIRECTLY to the project. I keep you and your friends informed on what happens with it. Like this you see the results of your efforts. Explore the charities and let me know in the comments below which project you would like to help and I'll help you set it up.